Transporeon Group enables carriers, shippers, and their customers to thrive as part of the world’s largest collaborative network of supply chain professionals. With solutions that allow our customers to make the most of a digitalized transportation network, we help companies around the world maximize competitive advantage. 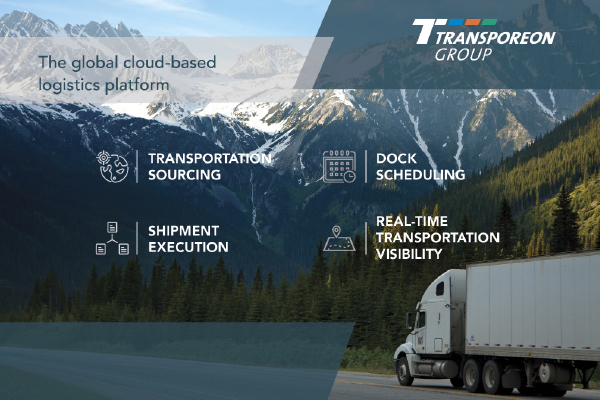 The Transporeon group powers three cloud-based logistics platforms that enable a worldwide, collaborative network of logistics professionals: Transporeon for transportation management, Ticontract for transportation procurement and Mercareon for retail-specific dock scheduling. These platforms for intelligent transport logistics create a digital connection between shippers and carriers, achieving smarter, transparent and more cost-effective movement of goods around the world. By digitizing the entire logistics supply chain, it also enables real communication and collaboration across the worldwide shipper-carrier community. Ticontract brings speed and structure to your freight procurement processes. This pioneering e-sourcing solution can help you find the right logistics service providers and reduce administrative workload associated with the RFP process for greater market transparency, easily comparable offers and insightful reports at the click of a mouse. Simplify your bid communications with a fully customizable RFI/RFP platform, with integrated features for FTL, LTL, air and ocean. Transporeon is a collaborative logistics solution that offers full connectivity to ERP and a complete range of transportation management functionality to help solve your daily logistics challenges. Cut transportation and administration costs by utilizing spot-market freight assignment for day-by-day capacity and demand matching in real-time to a closed pool of carriers, or fully automated freight assignment, which automatically assigns the freight order to one carrier based on pre-set criteria. Unique in the market, Transporeon Group solutions include onboarding, consultancy, and lifetime support with multilingual customer support. This ensures a customized fit for each organization, boosting shipper/carrier performance and cutting costs while optimizing carrier margins and lowering CO2 emissions. Transporeon services are ISO-27001 certified, and the group has global presence with offices across the US, Europe, Russia and Asia. Transporeon Group Americas is based in Fort Washington, PA.